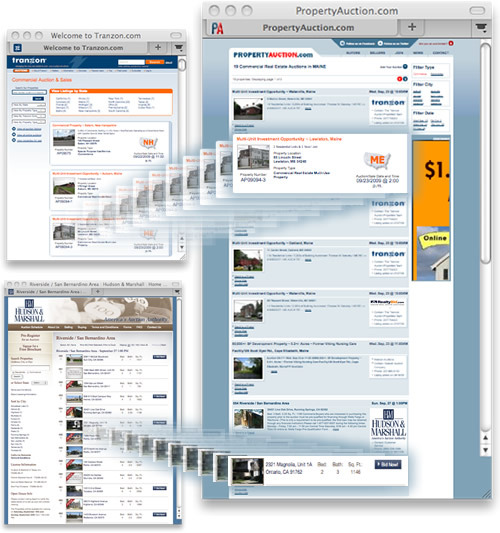 Automatically adds your real estate auction listings to our Auction Real Estate Directory. When you sign up for our Auto-Post Listings, we'll automatically pull the listings from your site (we also accept data feeds) and add them to Property Auction. We'll even check your website every day for any changes! Who should use the Auto-Post Listing product? If you have too many listings and not enough time to post each one individually, this product will be of great value to you. Most auctioneers who take advantage of this product have 10 or more auctions each month. You never have to think about it. Once the data feed or 'pull' from your site is in place, everything happens automatically with no effort or time on your part. Frees up your time to focus on auction operations and auction marketing. Your upcoming auction information will be seen by thousands of real estate auction bidders who are actively seeking out to buy a commercial property or looking at home auctions.